Not all kids are interested in sports. You may have a child brimming with theatrical talent who frowns each time you take them to a soccer game or one who is just trying to find their “thing.” Or maybe you have one of those triple threats, who does it all. Regardless, theater is a great way to widen horizons, stretch some kids, and give them all an opportunity to build meaningful relationships. Ian Mairs quietly entered the beach theater scene a few years ago, and he and his staff are a true gift to many a child and parent in the area. How long has Apex been around, and why did you start it? Apex started as a summer program in June of 2015. We had nine students and five teaching artists create a wonderful production of Godspell at St. John’s Cathedral in downtown Jacksonville. The following year we expanded to two summer musicals and year-round programming. We opened our brick and mortar location in Ponte Vedra in May of 2017. Our first summer at our location we had over 100 students from the Northeast Florida area participate. We started it because a group of passionate and motivated students asked us to create a challenging experience for them which went beyond the recreational camp experiences they had been a part of in previous summers. What would you say is your niche? Apex offers training for students with a passion and discipline for theater arts. Many of our students go on to nationally recognized conservatory or bachelor of fine arts programs in theater. Right now we have alumnae at New York University, Carnegie Mellon, Florida State University, University of Michigan, Cincinnati Conservatory of Music and North Carolina School of the Arts to name a few. We also have younger students who have elected to start working professionally in the television and film industry. Every June, we host a company of Visiting Young Artists who are featured in our summer season. Typically, they are recent graduates or rising seniors from some of the strongest theater programs in the country. They serve as peers and mentors for our younger company members. They teach classes, host question and answer sessions, and set a level of professionalism in the rehearsal process. Do you offer any special programs for those who can’t fit a weekly class into their schedule? We offer quite a few one-day workshops with nationally renowned teaching artists. This fall semester we hosted Broadway veteran Jeffrey Schecter to set two numbers in our Musical Theater workshop. Nikki Spencer, a wonderful dancer from the national tour of Dirty Dancing, taught a three-week musical theater styles class in October. We also take quite a few road trips to see young artists at work. This semester we went to the University of Florida to see their production of Hairspray and Florida State University’s production of A New Brain. I started working as a performer at a young age (around ten). I went on to study acting at Florida State University (BFA). During my senior year there, I had a play I had written about my brother and his friends produced. From that point on I divided my time between acting, directing, and writing. I spent three years as an Artistic Associate with a professional theater company in Atlanta (Soulstice Repertory). I started getting my work as a playwright produced in New York (Off-Broadway and Off Off-Broadway) and published so I elected to study dramatic writing at Ohio University (MFA). I started teaching in 2001 in graduate school and discovered how much I enjoyed it. I have been teaching ever since. What are the best resources for drama kids at the beach? It depends on what kind of experience a young person is looking for. There are plenty of introductory or enrichment classes available in most of the beach neighborhoods. Apex is focused on the students who have to do it. What about in Jacksonville for the hard-core enthusiast? There are several strong programs at some neighborhood high schools (Ponte Vedra High School and Stanton come to mind. Quite a few of our students have elected to attend a magnet program in St. Johns County and Duval County at schools like Murray Middle, Douglas Anderson School of the Arts, St. Augustine High School and Lavilla School of the Arts. What is the number one misconception about theater students? Students who participate in theatrical productions are frequently working a level of focus, strength, and concentration which they could also find in sports programs. 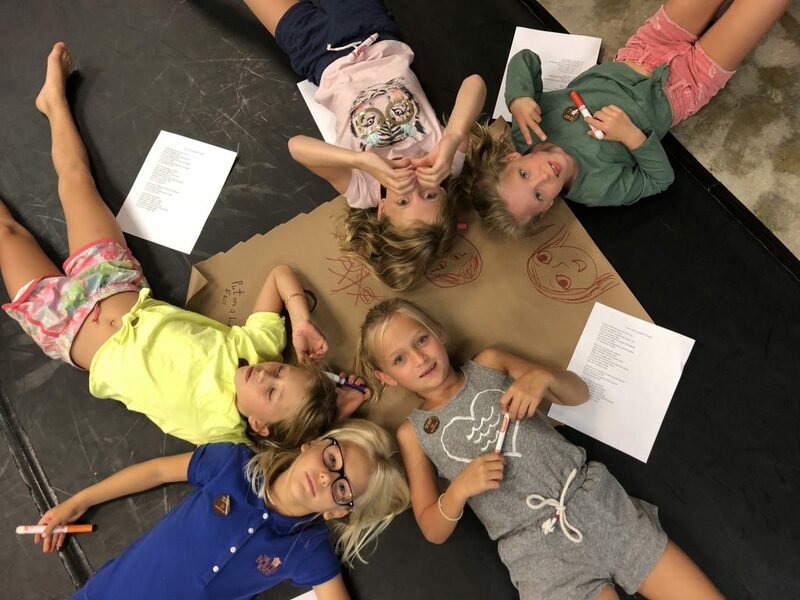 Our musical theater students spend a great deal of time building up their core strength and stamina. Imagine running/swimming/biking in a triathlon wearing high heels and singing into a body microphone the whole time. That is what it takes to pull off a compelling musical number. 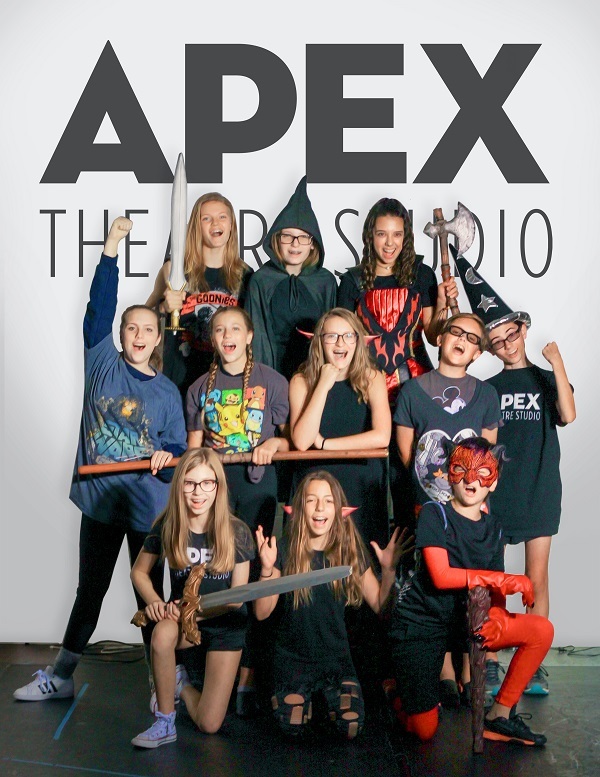 Apex Theatre Studio is located at 5150 Palm Valley Rd, Ponte Vedra Beach, FL 32082. Their website.